Have you ever had some cheese that disgusted you when you first encountered it, but when you tasted it you realized just how great it is? That is the exact definition of a “best worst cheese”! Some of these cheeses crawl with maggots. Some smell like a sock that has been rotting inside a sock for a year. Yet all of them have flavor profiles that will make your tongue smile in delight… even if your stomach turns. Of course the first cheese on this list has to be the cheese that literally translates from the Sardinian language as “rotten cheese.” It is made from sheep’s milk and it goes beyond the fermentation stage to the decomposition stage when it is consumed. It gets to this decomposition stage thanks to the purposeful introduction of insect larvae, namely the cheese fly. The larvae eat the cheese, break down the fats of the dairy product, and this increases the overall fermentation of the cheese. The cheese is eaten when the maggots from the introduced insect eggs are actively crawling. The flavor of the cheese is extremely sharp and can linger in your mouth for several hours. Don’t worry though – it is generally considered unsafe to eat the cheese if the maggots have died. If you’ve refrigerated the cheese, however, you’re still free to ingest! The only way to describe walking into a closet that is storing Limburger cheese is that it smells like you just stuck your nose into some liquid armpit sweat. This worst cheese originated in the Limburg area of Europe [hence the name of the cheese], which is now portions of the Netherlands, Germany, and Belgium. 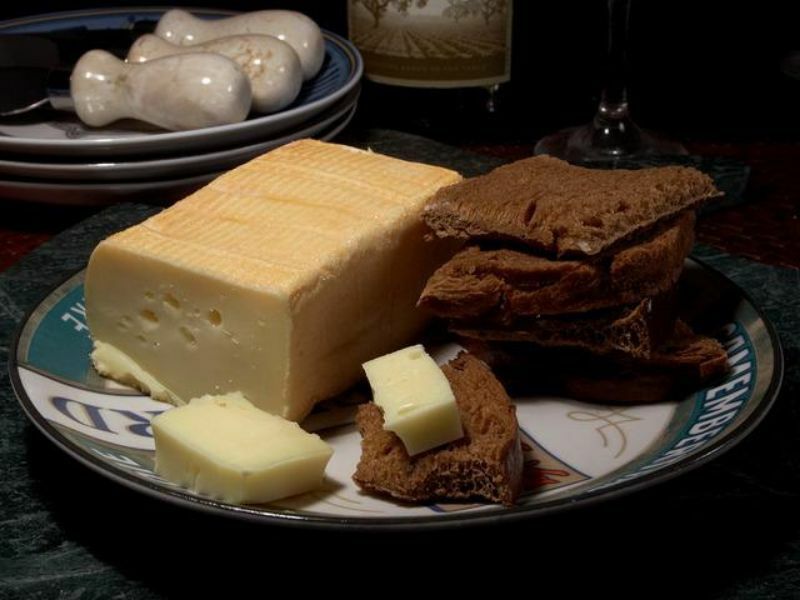 It isn’t the most popular cheese you’ll find in the United States – most of the cheese you’ll find, in fact, comes from one cheese plant in Monroe, Wisconsin. Limburger ferments by having bacteria smeared on top of it. It’s the same bacteria that you’ll find on your own body, which is why this kind of cheese smells like it needs a shower. When it’s first made, it actually looks like and tastes like feta cheese. After 3 months, however, the cheese becomes creamy and smelly. Mosquitoes, in fact, are just as attracted to the cheese as they are to human feet! Enjoy! Pule is a tough cheese to get your hands on. It’s so difficult, in fact, that you’ll generally have to buy the milk to make it yourself! For some, that’s enough to throw in the cheesecloth [see what I did there? ], but for avid home cooks, the challenge is on! The real difficulty in Pule is the price – it’s $1,700 per pound. Why? Because it’s made from donkey milk. To be fair, the cheese doesn’t taste that bad as long as you ignore how much money you’re actually consuming with each bite. It takes about 25 liters of donkey milk to make just two pounds of cheese and then, just for added flavor, it is smoked. Said to be Napoleon’s favorite cheese, the stench of Epoisses de Bourgogne is so strong that it has been banned from being transported publicly in private vehicles in France. It too is a smear-ripened cheese, with a similar bacteria that you’ll find with Limburger. The only difference? The cheese is also routinely washed in water and marc, a liquor that’s a side effect of wine making and a bit like brandy. In 6 weeks, you get a stunningly powerful cheese that reminds you of the time Uncle Fred had a contest with his co-worker about who could wear the same shirt to work the longest. Over time, the cheese will even begin to smell like ammonia. That’s your signal to throw it away. It’s generally served with wine and crackers because it can get awfully runny. My recommendation is that you grab a clothespin for your nose on this one! If you don’t mind body bacteria on your cheese and maggots are fine as well, that’s why not enjoy some food that has been flavored with mite excrement? That’s what you’ll get with Milbenkäse, which is fermented by cheese mites. Even the start of the Milbenkäse making process sounds bad – it’s make from quark, which is essentially warmed up milk that has already gone sour. Not the sour cream kind of sour, mind you, but the “my toddler left a sippy cup full of milk under my bed for three days” kind of sour. 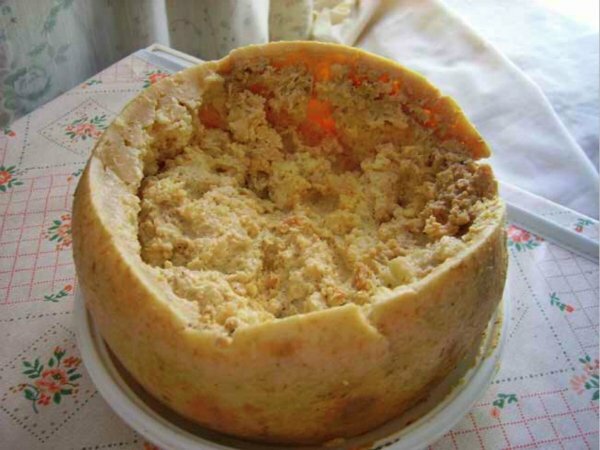 It is made exclusively in Germany in the village of Würchwitz and at one point, four decades ago, only one person actually knew how to put the mites into the cheese in such a way that they would ferment it by eating it and pooping it out. To help you get around that “poopy” flavor component, caraway, salt, and rye are added to the quark during the making process. If there are still mites in the cheese, don’t worry – it’s traditional to eat them too! Last but not least may be the one cheese that requires the most discipline to eat. It’s a salty cheese, which makes it pair very well with a number of dishes. Tradition has it that the French miners ate this cheese heartily every day at the bottom of the mine. Perhaps they ate it there because the mine could cover up the smell of the cheese! There’s not many cheeses that actually qualify as “putrid,” but this one is by far the winner. Best of all [or worst of all], the smell just get stronger with age. Pairing this cheese with either black coffee or some good beer makes for a good snack. And, if you happen to be a doomsday prepper, you might also want to keep one of your stored gas masks nearby just in case you get an older bit of cheese. Do you have a “best worst” kind of cheese that you love that didn’t make this list? Share your love with us below and why it is your favorite! Next Article Have You Visited the Top 8 Upside Down Houses On the Planet?